As I explained in Part 1 of this 3-part series, to close the deal with right-of-center voters, Donald Trump's choice of Vice President is the clearest and most important signal he can send to conservatives that he will govern as a conservative. In New Jersey Governor Chris Christie, Trump would be choosing a running mate who had opposed conservatives on almost every issue that motivates the conservative grassroots of the Republican Party; protecting the Second Amendment, opposition to amnesty for illegal aliens, dismantling Obamacare, cutting taxes and spending and protecting the right-to-life to name, but a few of the most obvious areas where Christie turned his back on conservative orthodoxy. But if there’s one thing worse than ignoring the conservative agenda, it is claiming to support it and then betraying it, and in that regard Senator Bob Corker of Tennessee stands alone in infamy among those suggested as a potential running mate for Donald Trump. 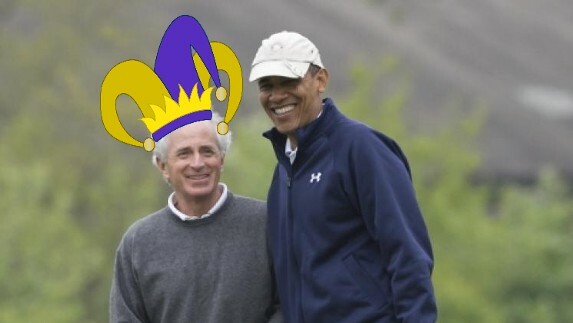 *Corker has supported Obama on trade, particularly fast track Trade Promotion Authority and the Trans Pacific Partnership. *Through the Gang of Eight bill Corker supported Obama on amnesty for illegal aliens. *Corker voted for the Omnibus spending bills that have doubled the national debt on his watch. *Bob Corker assured passage of Dodd-Frank, the permanent bailout fund for banks. And placing the Consumer Financial Protection Bureau (CFPB), inside the Federal Reserve to operate independently without Congressional oversight was, as our friend Kevin Kookogey put it, actually Bob Corker’s bright idea. *The New Strategic Arms Reduction Treaty with Russia was the first signature foreign policy initiative of the Obama administration, and its Secretary of State Hillary Clinton. Bob Corker worked tirelessly to ratify NewSTART and defiantly led a band of 13 Republicans to join with Democrats to ratify the treaty during a lame duck session of Congress. *Worst of all Senator Corker conceived of and led the passage of the bill that discarded the Constitution’s treaty provision in order to bless President Obama’s $150 billion gift to the terrorist regime in Iran. *Corker’s legislation in effect lowered the threshold for approving the Iran nuclear deal from 67 votes to 41 – a craven betrayal the Senate’s constitutional role as the final word on whether or not the United States agrees to a treaty. The world will be a much more dangerous place for Bob Corker’s inexplicable failure to grasp the existential threat a nuclear armed Islamic Republic of Iran poses to the United States and all peoples who share the values of freedom of conscience, freedom of religion and freedom of speech. Conservatives are not a wing of the Republican Party who can be bought-off or mollified with interest group-type favors and Bob Corker’s betrayal of constitutional conservatives on issue after issue are almost the antithesis of Trump’s conservative populism. To win the fall campaign and defeat Hillary Clinton Donald Trump needs to first do two things – unite, and then excite center-right voters who have been, at best, reluctant supporters of Republican candidates for President over the past few cycles. Nominating Senator Bob Corker as his Vice President would be an all-but-fatal blow to those essential steps on the road to victory for Donald Trump. I urge all of my conservative friends to let Donald Trump know that we conservatives believe choosing Bob Corker as his running mate would crash Trump’s campaign and that it is time to just say NO to Bob Corker for Vice President. Submitted by email_registrat... on Wed, 07/06/2016 - 13:26. I really don't think he's going to pick Corker, but the establishment is probably pressuring him. Joni Ernst and Tom Cotton and Mike Pence have been tapped. Everyone please contact Trump at the Make America Great Again website, and tell them who you'd love to see as his VP. I told him Jeff Sessions or Mike Pence. Don't tell him not to nominate as he doesn't like to be told what to do. Just tell him who you'd love to see him paired with.